If you’re reading this, you’ve probably come to realize that the corporate life just isn’t for you. You’ve been thinking about leaving your job to work for yourself but you can’t seem to leave the security, safety, and familiarity of being an employee. Trust me, I’ve been there. Going from a full-time job to a business of your own is a scary transition, therefore, you need to have a solid plan in place. As a potential entrepreneur, you should identify the problems that you could come across and where you could go for help. You should also have the right resources to dig into if you face these challenges in order to avoid failing. The following are the ultimate ways to fight your fear of leaving your job to become an entrepreneur. What does your family think of your desire to leave your job? Do your friends think you’re crazy? If the people around you do not support your dream of leaving your job, you need to find people that do. I’m not telling you to ditch your friends or to file divorce papers, but I am telling you to find others that believe in your vision. Having a good support system helps you stay in line when you begin to doubt yourself or if things are not going your way. You also need people who are going to understand that you may need to work longer hours and have less time to socialize while growing your business. Once your family is on board, the best place to gain support is with other entrepreneurs. Being around others that have done what you are wanting to do is crucial. Often times, we believe that when we quit our full-time paying job and venture into entrepreneurship, we will not be able to succeed. However, the solution to this is easy- instead of quitting your job, you can still work from 9-5 and build your business empire at the side until you are able to replace at least 60% of your day job income. This may take more time than you think, therefore, you need to be patient with the process. 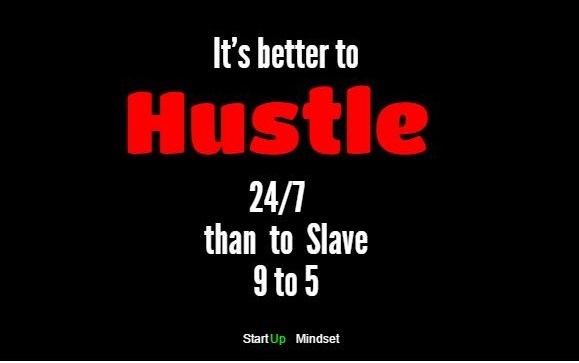 Building your own business should not take away from your work ethic. The only way to scale your business is putting more time into it, ensure that you are capable of serving two masters at a time. Doing things that push you out of your comfort zone is one of the best ways to build the courage to leave your job. Do you believe that you are not a good at networking? Then it’s time to sign up to a networking event and attend it this week. Are you uncomfortable asking strangers to buy your product? Then you probably should seek out as many strangers as possible and ask them to buy. Once you’ve done what you are afraid of doing and survive, your fear of leaving your job will seem much more possible. It is important to push yourself out of your comfort zone in order to gain the courage to quit your job. You may have the fear of letting your employer or your fellow colleagues down thus, you decide to keep your current position. Do not let anxiety compound. One of the things that seems to scare most people the most about becoming an entrepreneurs is whether or not people will buy what you have to offer. An idea for a business is good but until people are actually giving you money for it, you do not have a business, you have a hobby. Start you by validating you business idea the moment you have it. What that means is as soon as you can, ask people for their business. If you have an app, develop a prototype and try to sell it even before it is perfect. If you run a service business, look for someone right away that will pay you per project. If you want to sell something, build an eCommerce site with Shopify immediately. In the workforce, internship is the way most potential employees gain experience. Inters will sometimes work for free in order to have a resume to show to a potential employer. When you’re an entrepreneur, a resume doesn’t really matter. What does matter is if your product or service is valuable. When you begin to get some cash flow, your next step is to ensure that you are making a profit and not just sales. Profits is where you actually get paid so make sure that you are turning a profit. 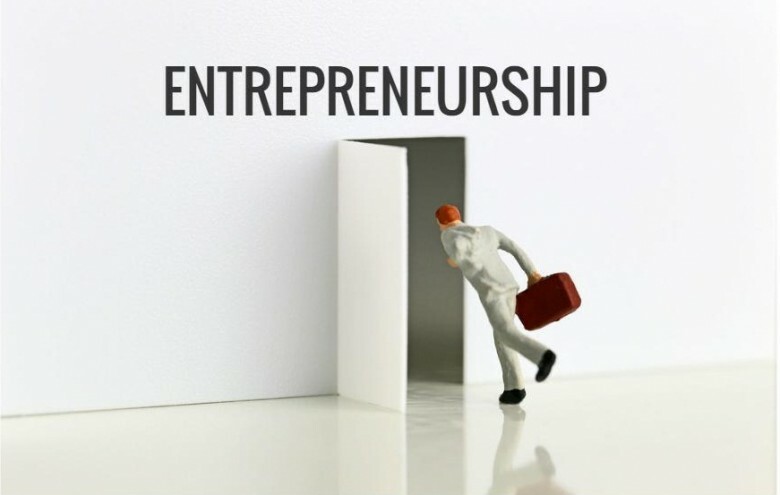 Many entrepreneurs have failing start-ups because they do not think that they are smart enough or capable enough to successfully run a business. Self-doubt is your worst enemy especially because it feeds into your fear of leaving your job to become a full-time entrepreneur. The confidence in your ability to build a business is the difference between an entrepreneur who succeeds and one who fails. It is important to change your perception of what you are capable of. One way to build confidence is to gather information and insight. Fear is primarily based on the unknown. The more you know, the less you fear. If I were you, I would read that last sentence again. When you read blogs like Startup Mindset and books about business success, you begin to learn about things that are possible and entrepreneurs that are doing what you want to do. Books like 4-Hour Work Week by Tim Ferris and The $100 Startup by Chris Guillebeau are a good place to start. Communication is key. Learn to ask questions, advise, and opinions of other entrepreneurs. You need confirmation that you are headed in the right direction. Talking with those have left their job for entrepreneurship can be a powerful motivational tool. Strive to do it and one day you may be giving advice to someone who is stuck in their job. There is nothing wrong with having a contingency plan in place and detailing everything that could affect your new business. A well-defined plan will cushion you when you fail. A fallback plan is what entrepreneurs need to forge ahead. There are chances that you may not make money with your business or you could spend time building a business that would never take off. If this happens, would have to go back to the drawing board and look for another job?Being mentally prepared for all the challenges is a powerful way to look at entrepreneurship through a different lens and fighting the fear that comes with it. After forming a contingency plan, you need to be prepared to kick your business off the ground. Start identifying vendors or speaking to already others in the same line of business on how they deliver goods and services. Once you have a good idea of what you are getting into, you will be well-prepared and be able to keep any overriding fear of failure at bay. Determining the worst-case and best-case scenario if you quit your current job and start a business of your own is the best way to find ways of starting a new. No one is immune to failure. Even after quitting your job, your first business venture may not be successful. Only through failure can you recognize how to do things in the right way. This will enable you to relentlessly pursue your business until you succeed. All you need is the right amount of focus and a lot of passion in order to stay on the right track. Only then will fear stop threatening your dreams of becoming an entrepreneur.